Good morning. After our popular deep dive on China trends, here's a Saturday special on the robot revolution, with reporting and insight by Axios future editor Steve LeVine, Axios CEO Jim VandeHei and me, and other well-wired Axios colleagues. To keep up with the revolution, sign up free here for Steve's twice-weekly newsletter, Axios Future. We're entering a new, robot-fueled tech boom that is already disrupting the world's balance of power, and is changing how we fight wars, stay alive, drive, work, shop and do chores. The future is now: We keep talking about what's coming, but we're already on the leading edge of a profound global change that will create tremendous opportunity for new power and wealth. In this new age of automation, businesses are frantically installing machines and algorithms that eventually will make them far more efficient — and wipe out jobs and sectors at blinding speed. This has touched off a tech race between the U.S. and China. And the other major economies — the U.K., France and South Korea in particular — are also spending big to own a piece of this future. Manual, back-breaking jobs will go away (this is good only if replaced by better gigs). Far less time will be spent doing menial tasks like driving or cleaning. And your ability to get more of what you want, when you want it, will be greatly enhanced. Health care will be more precise and sophisticated: Medical robots could make surgery more precise, and micro-bots will target the delivery of drugs within the body. Empathetic ones could help care for us as we age. Soft, flexible ones could aid in search and rescue operations. Robots and other autonomous devices will power apps on your phone that advocate for you with doctors; and could cut through government bureaucracy. The next big wow to your house will be smart appliances, especially in your kitchen: Your refrigerator will know its contents and order refills, and will communicate with your oven and dishwasher — to make us even lazier and less essential than we already are. 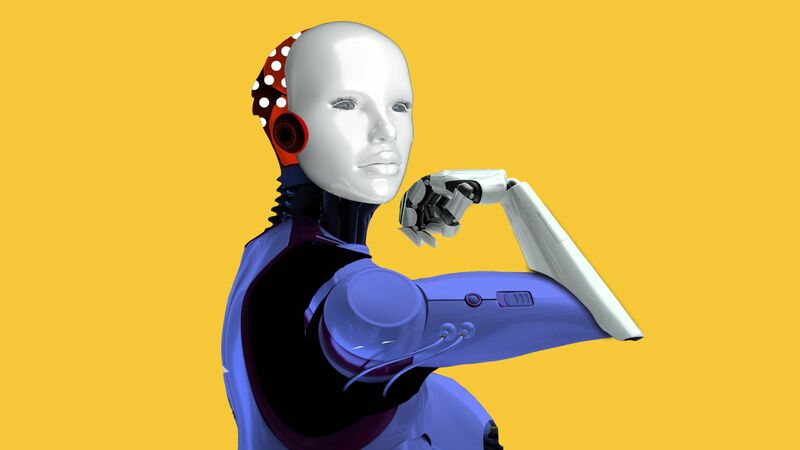 Manuela Veloso of Carnegie Mellon University told Axios that ultimately humans will be in control of how robots operate and the role they play: "These robots did not come from Mars and fall on Earth. They were invented by us and they will continue to be invented by us." The robot revolution will impose a temporary wave of hardship for some workers, just like machines did at the start of the Industrial Revolution. In the 19th century, it took about six decades for U.S. wages to recover after the first industrial age automation of the 1810s. And the agriculture-to-industrial shift of the 20th century lasted four decades. Among the first widespread casualties will be long-haul truckers and call center workers, according to Andrew Moore, head of computer science at Carnegie Mellon. On the other hand ... Robots may actually be super-slow at tasks like taking over Amazon warehouses, because no one still has figured out how to replicate the human hand in terms of dexterity. The upshot: "Automation anxiety" is likely to trigger popular resistance to robotization, Carl Frey, a leading researcher on the future of work, tells Axios. In a Pew Research study last year, 72% of those surveyed said they were worried about automation. Be smart: The race for governments and employers will be to get in front of the disruption to come. Economists and academics differ on how to confront this coming emergency. But all agree the robot revolution will upend jobs and sectors that will make the manufacturing crisis seem tiny in comparison. Here’s the thing you need to fear or think about most: A surge of studies predict robots and automation could force so much change, so fast, that humans simply can’t keep up to avoid mass displacement of workers. The big picture: There may be a long, deep economic disruption lasting decades and taking millions of jobs. The economy will eventually come out of it. But wages for most jobs may be too low to sustain a middle-class lifestyle. MIT's Andrew McAfee, co-author of The Second Machine Age, tells Axios that companies are not creating the middle-class jobs that were the backbone of the economy for more than a half-century. "I'll start to calm down when old-fashioned middle class jobs come back. I'm just not seeing that," he said. "We don't have a job quantity problem," McAfee added, "but a job quality problem." The forecast: Karen Harris, managing director of Bain's Macro Trends Group, forecasts that the new automation wave could displace 2.5 million workers a year. That compares with 1.2 million a year displaced in the agricultural upheaval from 1900 to 1940, after adjusting for population, and 800,000 a year in the onset of the information age from 1970 to 1990. "Automation will affect everyone, but will create more problems for different groups — young people perhaps, those less educated, groups that already receive less training and less education." Go deeper with Steve LeVine's story, "A long disruption is ahead, with low-paying jobs." For many of us, the robot revolution will be most visible on the road, with transformative changes coming to trucks and cars — faster than most people realize. Trucks ... Truck driving is one of the most dominant job categories in America, with the jobs dispersed everywhere around the country — meaning that automation-driven disruption will create pain that's widely seen and felt. Truck drivers will be some of the first people to lose jobs as automation technology spreads. Long haul goes first ... It could start with "platooning": A second, autonomous truck — or a whole caravan of them — travels behind a lead truck driven by a human. Go deeper. Self-driving trucks are expected to beat cars to widespread use because there's so much less complexity on the open road than on city streets. Driverless trucks will be tough on, ahem, drivers, but will transform businesses from agriculture to shipping to e-commerce, per The Wall Street Journal (subscription). Cars ... Self-driving cars will ultimately be safer and take some of the drudgery out of commuting, but widespread adoption is much further off than some of the credulous news coverage might lead you to believe. Fatal crashes have chilled some of the momentum, but Bloomberg notes that "the perceived stakes are so enormous, with the promise of transport businesses needing little in labor costs, that many players are racing to master the technology and put it to work." The investment bank UBS estimates global revenues from self-driving technology by 2030 will be up to $2.8 trillion, with Waymo (part of Alphabet, Google's parent) as the market leader "by a solid margin." Ethical and practical problems ahead: Because the network controlling the driverless world relies on data not humans, it’s hard to anticipate why a machine will reach a particular decision — such as which car or person to hit if glitch hits the system. SoftBank, the giant Japanese tech investment firm, said it will spend $2.25 billion for a 20% stake in GM's autonomous vehicle business. Waymo, Google's self-driving operation, said it'll buy up to 62,000 more minivans from Fiat Chrysler to expand its soon-to-start ride-hailing venture. Universal basic income: This would provide a guaranteed cash benefit to the millions who could be put out of work by automation. "Silicon Valley is in the midst of a love affair with it, arguing that when robots come to take all of our jobs, we’re going to need stronger redistributive policies to help keep families afloat," Annie Lowrey, who has a book on the subject coming July 10, wrote in New York magazine. Retooling education for a lifetime of job change: "[W]e need to be much more serious about using every tool we have — tax incentives, Pell grants, community colleges — to create the conditions for every American to be constantly upgrading skills and for every company to keep training its workers," N.Y. Times columnist Tom Friedman wrote in March. 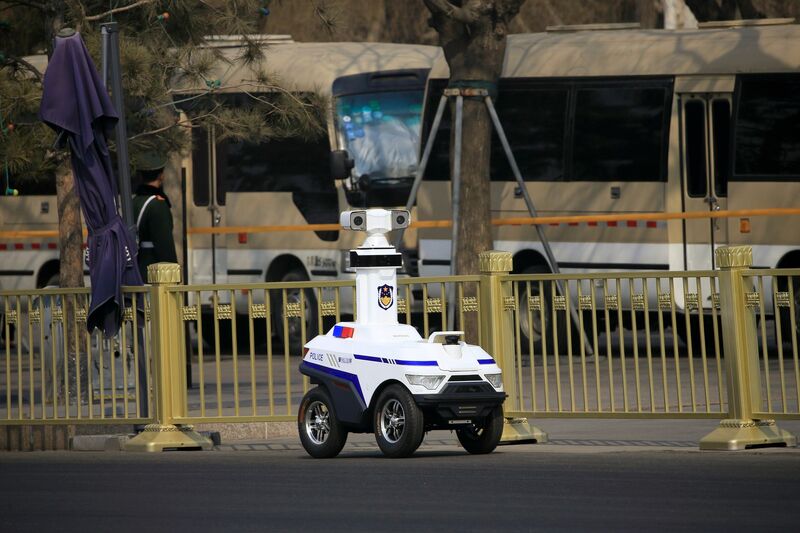 "That will matter whether the challenge is China or robots." Drones, driverless and robot ethics: The biggest difficulty in self-driving cars is not batteries, fearful drivers, or expensive sensors. It's the modern version of what ethicists have called the "trolley problem" — a debate over who should die and who should be saved when an autonomous vehicle's algorithms end up with such a horrible choice. Go deeper. As you saw with the Mark Zuckerberg hearings, many lawmakers are clueless about technology. Can you imagine them sensibly creating in-the-sky regs for drones? Be smart: The economic discontent that drove the Trump vote in 2016 could be more inflamed by 2020, when fears about the future could be becoming reality. Congress and the Trump administration have yet to create a coherent policy response to a widely forecast social and economic tsunami resulting from automation. But cities and regions are starting to act on their own. What's happening: In Indianapolis, about 338,000 people are at high risk of automation taking their jobs, according to a New America report. In Phoenix, the number is 650,000. In both cases, that's 35% of the workforce. In northeastern Ohio, about 40,000 workers are at high risk. In all three places, local officials are attempting to take charge by identifying jobs most at risk, skills most likely to be in great future demand, and how to organize education and industry around a new economy. Why it matters: Their wary first steps are a snapshot of how economies throughout the advanced countries will have to respond to an already-underway economic disruption that will be of unknown duration and magnitude. Restaurant workers — food service workers, waiters and cooks — will lose the most jobs, followed by retail sales people and cashiers. Their average salary is about $32,000 a year (compared with about $67,000 for 300 low-risk occupations). Among those at highest risk: Cashiers have a 97% chance of losing their job to automation; and office workers like secretaries and administrative assistants at 96%. Food servers in Indianapolis are at 94%. Go deeper: Why women are disproportionately affected. The new age of automation is almost always discussed as a future problem, but a new report says it's already the subtext for much of what ails the West, from stuck wages to populist politics. Quick take: An April report from the Council on Foreign Relations says that if the U.S. doesn't figure out how to retrain workers displaced by automation, politics are sure to grow even uglier than now. Edward Alden, who co-authored the report, tells Axios that negative byproducts of automation are already visible in worsening U.S. inequality and a plunge in living standards in community after community. "If you don't give most Americans better paths to well-paying work, that's a recipe for political unrest," Alden said. Read this quote ... CFR President Richard Haass says in the report: "What is clear is that failure to meet the challenges posed by new technologies will likewise affect U.S. national security." Go deeper with Steve, "A source of populism: 'You are on your own.'" The most successful job training through the decades has been organized by companies finding smart people, then skilling them up for specific positions. But this tradition is long passé. American companies today are only rarely prepared to spend the money to train their own workers. Instead, they want fully formed workers to show up at the door. What's going on: One person vexed by this paradox is Kim Arnett, a software developer at Expedia. Arnett posted an open letter on LinkedIn to technology companies, tut-tutting them for setting up a potential future crisis by failing to create enough entry-level positions. Her suggestion: "As an organizer of a meet up that aims to help beginners and marginalized people, I ask you to back up. Start a training program, add internships and entry level positions to help fill the gap. People are here, give them a chance." Edward Alden, a Council on Foreign Relations fellow, tells Steve that European companies naturally train their own workers but "that hasn't permeated U.S. companies" as yet. But, Alden said, some seem to be starting to grasp that they will have to take the lead on training for their own workforces. Go deeper with Steve, "Companies: train your own workers." Scientists expect people to live routinely to 100 in the coming decades, and as long as 150. Which also suggests a much longer working life lasting well into the 70s, 80s, and even 100, according to researchers with Pearson and Oxford University. Quick take: Thinkers of various types are absorbed in navigating the age of automation and flat wages, but their challenge will be complicated by something few have considered — a much-extended bulge of older workers. What we need: Science and math skills will be ultra-useful, but must be twinned with people skills like psychology or anthropology. It's impossible for a child to learn all the necessary higher-order skills even with an eight-year graduate university education. Instead, people will return to college again and again. Go deeper: "The next great workplace challenge: 100-year careers." 5G: The fifth generation of cellular tech, known as 5G, won’t be available at mass scale for a few years. But when it is, look for blazing speed and uninterrupted connectivity for phones, cars, appliances (the internet of things), and devices that can be worn or implanted. In the U.S., it could create an estimated 3 million jobs. N.Y. Times: "By sending billions of bits of data per second, up from peaks of hundreds of millions today, 5G could cut the time to download a movie to seconds." Why it matters: Robots and the wildest, transformative technologies need the speed and data possibilities of 5G to come fully to life. AI: Artificial intelligence is the ambition for machines to learn and adapt like a human. Big thinkers compare it to fire and electricity in terms of its impact on humanity. Why it matters: AI could make the internet seem like the rotary phone. It could replace vast parts of human functioning and open up wondrous products — and dangerous unintended consequences. Additive manufacturing: This sounds boring as white paint. But this is the ability to create a physical object from a digital design. It’s the 3D printers you have heard about or possibly seen. Why it matters: Jim and I went to an annual meeting of shoe manufacturers and the talk wasn’t about the new LeBron kicks, but how the companies are pouring investment into 3D technology to build you the perfect-fitting shoe on the spot. "Furnas and several artists are using digital printing robots that use techniques in paintings that were previously impossible or too labor intensive." The machine is "guided by inputs from artists and optical sensors to paint in fine detail in lines thinner than a human eyelash." "It records a painter's movements, allowing artists to edit brushstrokes before putting an image on a canvas. Those digital images can be combined with brushwork from an artist to bring new dimensions to a painting." Thanks for starting your weekend with Axios. What did you think of this deep dive, and what other topics would you like us to hit? Just reply to this email, or shoot your thoughts to mike@axios.com (my real e-dress). See you all weekend in the Axios stream.